If you’re an adhesive user in the assembly industry, it’s likely that your application requires more than a ½” dot of glue. For broader adhesive coverage and temporary to permanent adhesion tack levels, we offer larger adhesive patches and strips. Ranging from large scale automotive assembly to small scale assemblies, the instant bond of Adhesive Squares is ideal for applications that require temporary to permanent adhesion. Adhesive Squares double-sided tape is a cost-saving solution for multi-stage assembly processes. Weight reduction is an increasingly growing priority in the automotive design and manufacturing industry. As the marketplace demands lighter and more efficient vehicles, fastening methods have become one of the focal points in reducing the weight of an automobile. For instance, Adhesive Squares have been used in applications to secure insulation for interior automotive seating. If we all had two sets of hands, assembly would be a lot easier. 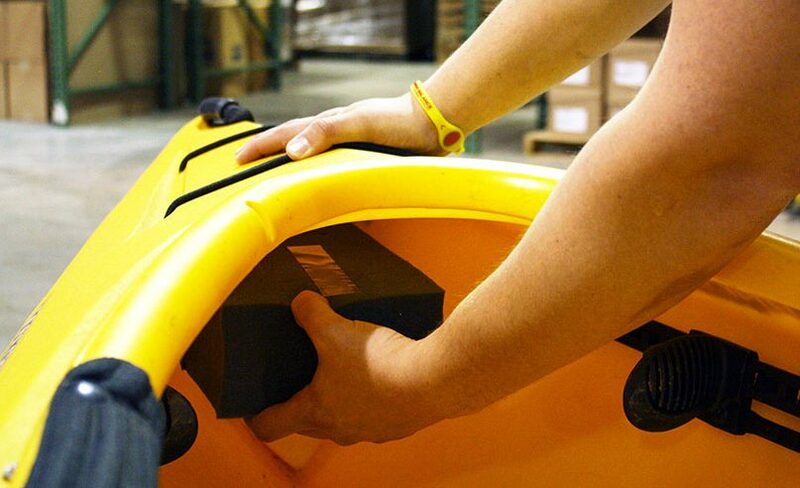 Assembly applications often require a temporary assist to hold materials in place until your final adhesive cures or mechanical fastening takes place. Without two sets of hands, what options do you have? Adhesive Squares double-sided tape offers you the option of temporary hold. Pressure sensitive adhesive strips and patches instantly bond your materials, yet are temporary so that you can re-position them if needed. 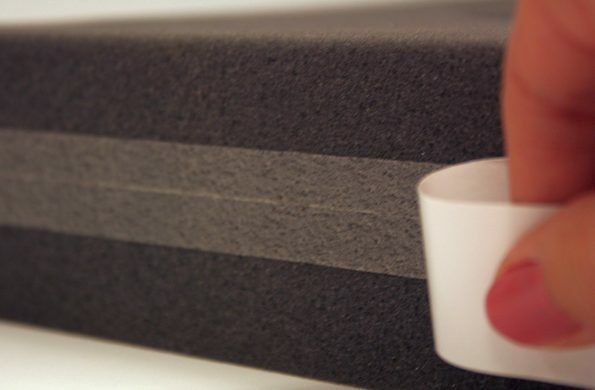 From vehicle seats and mattresses to protective packaging and appliance insulation, foam is used in many assembly applications. Adhesive Squares instantly bond various types of foam, including polystyrene, polyurethane and high density.